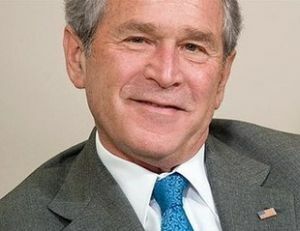 With the Middle East once again in flames, the American economic system in shambles and the planet in a generalized funk, is there anything that can turn public perceptions of President George W. Bush around? According to French editorialist Pierre Rousselin, there is one thing: amnesia. When asked to comment on how history will judge his decision to declare war on Iraq, George W. Bush likes to reply: “History? How can one know? We’ll all be dead … ” Considering the dozens of interviews he has recently granted the press, the 43rd president of the United States is not indifferent to the image he will leave to his contemporaries. George W. Bush leaves the White House on January 20th with a sorry record: he is the most unpopular president the United States has known for a very long time.